KAMPALA. 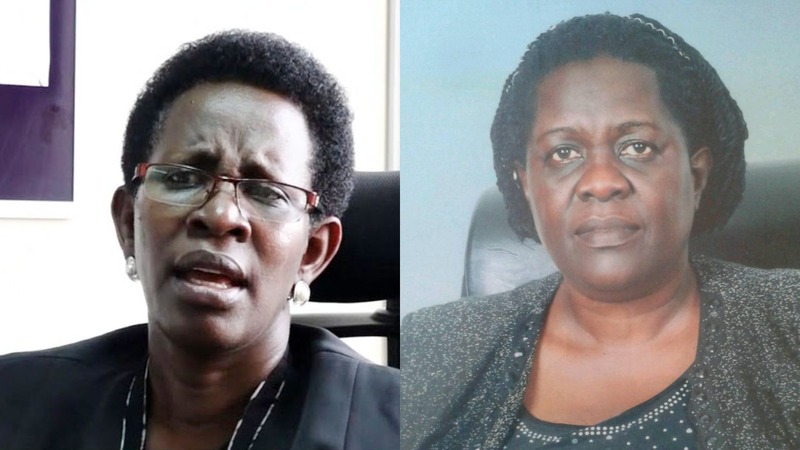 The Permanent Secretary in the ministry of health Dr Diana Atwine has been sued alongside the Uganda Nurses and Midwives Council for allegedly interdicting the Acting Registrar of the same council without prior hearing of her side. Ms Rebecca Nassuna in her application that she filed before the Kampala Civil Division of the High Court on Tuesday (November 20), is seeking to block her interdiction until the court hears and determines her main case. Ms Nassuna claims to have been the Acting Registrar of the Uganda Nurses and Midwives Council since April 10, 2017, and that she had been doing her work professionally until she was interdicted on November 15, 2018, by Dr Atwine and the senior management of the ministry of health. “The actions and decisions of Dr Atwine with the senior management of the ministry of health. The conduct of the other three respondents for not giving the applicant (Nassuna) any prior warnings, fair hearing, a right to be heard and the opportunity to defend herself are ultra vires and or unconstitutional, arbitrary, oppressive, illogical, illegal and null and void,” reads part of the court documents. Also sued are Attorney General and Health Services Commission. Nassuna claims that on November 9, 2018 without any prior warning, before being summoned and tried in any disciplinary committee, Dr Atwine and the Senior Management of the Ministry of Health interdicted her, served her with the interdiction letter on November 15 and required and or ordered her to hand over office on November 16. She says that she executed all her duties effectively, efficiently, diligently and professionally and accounted properly for all the funds and properties under her management and control. “I have at all material times honoured and respected the procedures and the laws governing the operations of my office and l have never deliberately flouted any procedures or contravened any laws,” Ms Nassuna says. Through her lawyers of Magellan Kazibwe & Co. Advocates, Ms Nassuna says that unless the interim order is granted, she will suffer irreparable loss of her full entitlements, become jobless and grave injustices.